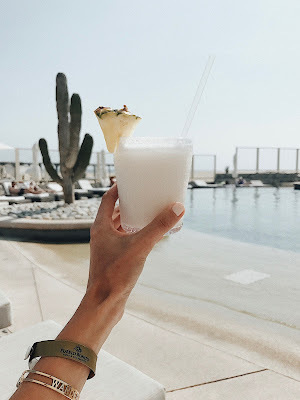 A blog and The Life In Between : Cabo memories. Recap of a quick getaway to Cabo. Nothing beats a two hour flight when you can be in a true paradise in such a short amount of time. 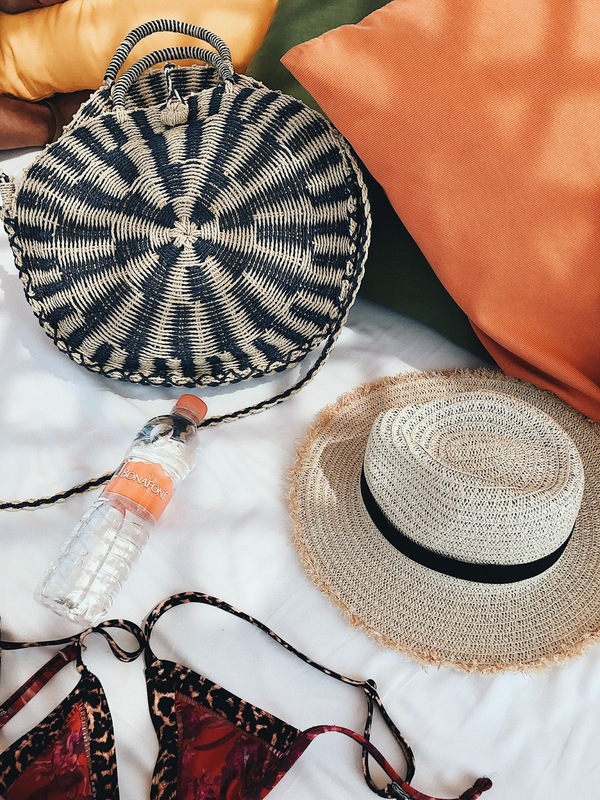 I've been to quite a few places in Mexico like Tulum, Cabo, Cancun and Playa Del Carmen. Each of them are very different from one another - Tulum being extremely romantic but hard to get to as it is over an hour away from Cancun [where you land], Playa Del Carmen is more of a fun town for a girls trip filled with pool day hangouts and Cabo being a true paradise just a few hours away having the shortest flight to get to! 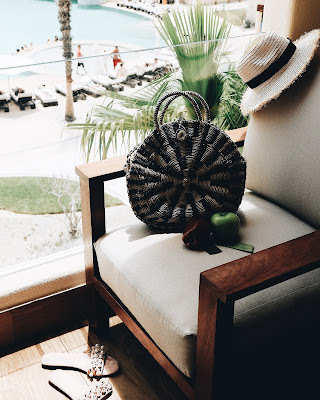 This time we stayed at Pueblo Bonito Pacifica Resort & Spa. The hotel is located just under 30mins away from the airport in Cabo and about 10mins away from the main part of the city. When we got to the hotel I was shocked about how big the property was if you followed me along on IG stories you saw us hoping around through different properties of Pueblo Bonito - which there is total of six all inclusive beach resorts you can grab drinks, dinner at! Each of the Resorts is also very different: adults only, villas etc. 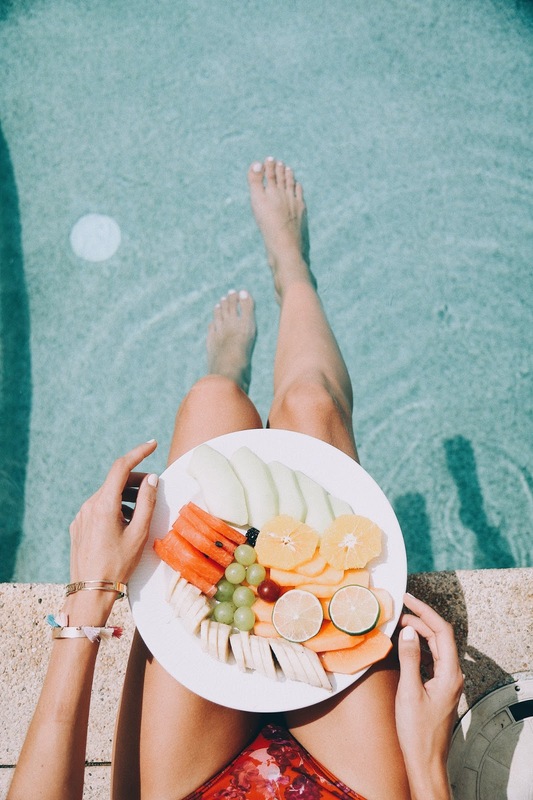 to accommodate your perfect stay. It was like a hidden paradise filled with unlimited amounts of options and things to do, I could honestly say it was one of my favorite hotels I have ever stayed at - and let me tell you, I've been to many places & stayed at lots of different hotels. 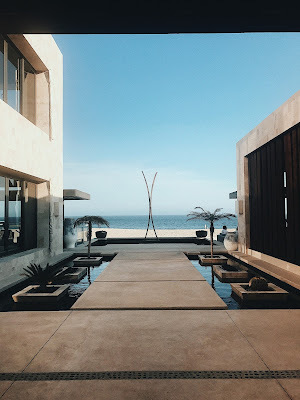 We had a room in "Towers of Pueblo Bonito" which automatically comes with your very own butler to help you make dinner reservations and show you around, access to VIP lounge and many other great amenities. 99% of my photos on this post and IG are taken at their property to give you a better idea of the Resort. 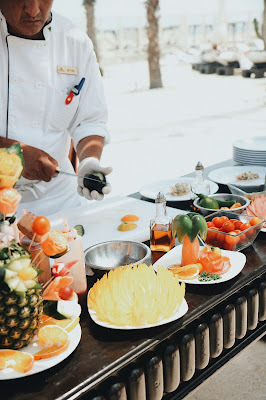 Our Resort offered many different options to eat at and offered a great selection of foods at all times - my favorite being seafood! If you have upcoming plans to Cabo you MUST try their Mexican coffee, presentation and the taste are delish [if you saw my IG stories there was a few videos on the fire drink being made - coffee]. 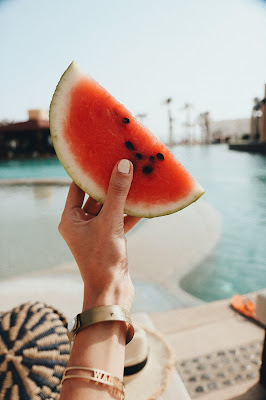 On our last day we wondered off to the Downtown are of Cabo to explore and go on a boat trip, I can't suggest much on places to eat at there as it was more of a bar scene and it offered basic foods - tacos, quesadillas etc. If you're going to stay at Pueblo Bonito make sure to check out their ceviche bar! Arch of Cabo San Lucas. 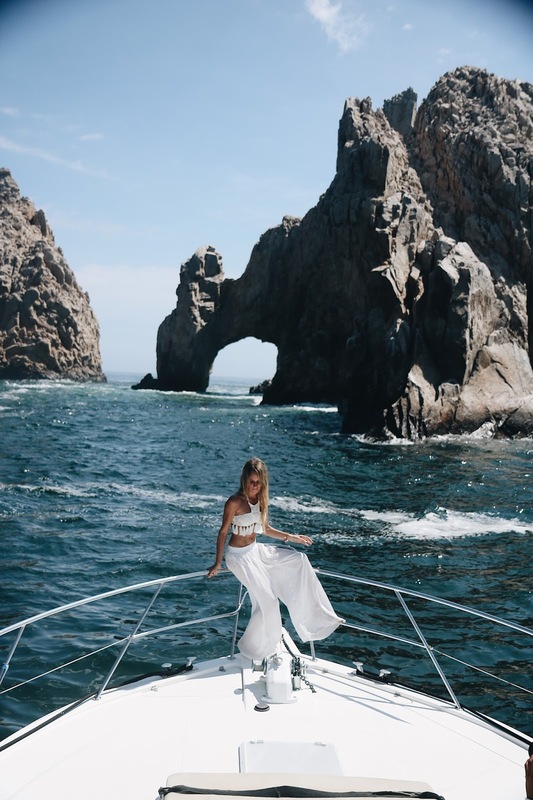 I recommend taking a boat tour or getting a private boat to explore the waters of Cabo and see the beautiful Arch. We luckily were invited on a yacht for just two of us with Blue Sky Cabo which was let me tell you AMAZING! I have never had a yacht just for two of us so I could not hold it together as it was sooo different than being on a tour with thirty other people. I am also working on a drone footage video from the yacht trip this week & will be sharing it shortly after I am done editing it so stay tuned. Cabo San Lucas Downtown. If you're looking for a night scene filled with bar hoping and shopping you must check out Downtown area as they've got it all! 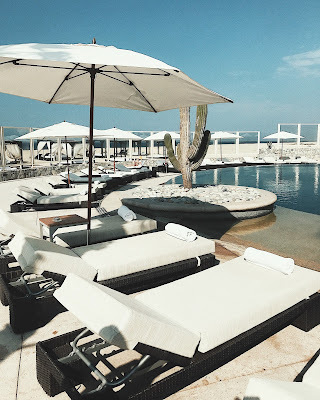 Thank you Pueblo Bonito Resort & Spa and Blue Sky Cabo for partnering with me for this post and trip.